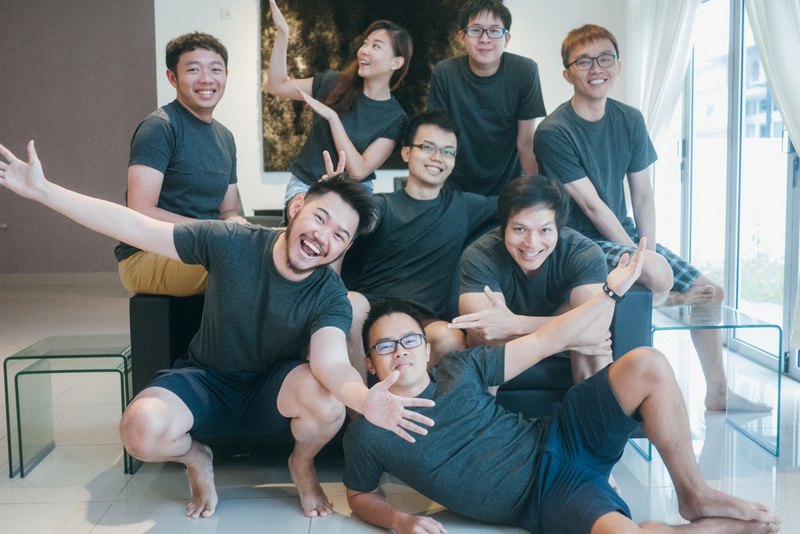 As we continue on our quest to discover as many unique hiring practices as possible, we managed to have a conversation with Gordon Ng, Co-Founder of Talenox—our neighbour here at Block 71, who has since moved to Tai Seng. As we kicked back with a cup of coffee in a cosy café just across the road, we spoke about his start-up, discussed the human resource scene and the fast-changing landscape of the tech start-up industry. The Talenox team. Photo credit: Talenox. So what do they look for in candidates? “We don’t even look at qualifications. For us, it’s all about skills, but what is especially important is the attitude of the individual. We know that we can train someone, but it’s very hard to change the attitude of a person. So we need to ensure that the right kind of attitude fits into our culture before we proceed further with understanding his/her skill set,” Gordon shared and goes on to explain, “We don’t have a fixed process right now, so we’re actually coming up with a process. What we do is that we ask questions like, ‘What’s your aim in life?’” We were curious: with such broad questions, how would they distinguish between honest, heartfelt answers, or prepared and diplomatic answers? Gordon admits that a lot of times, it’s all about the eye contact and the body language. He went on to share their process of integrating new hires into the team: “We started them as part-timers—sort of like a probation for maybe one to three months—to get them to adapt to the team. In the future, we’re thinking of making it like a boot camp. Then we’ll know whether they suit the team or not; we are trying to develop a kind of buffer before they join us. They also give little tests for candidates to showcase their abilities. “For developer roles, we will give them interesting scenarios or coding puzzles for them to solve. For roles related to growth (business development), we will find out how they will approach clients; stuff like that. We’ve worked with some of them before, so in some cases, we didn’t even need to test the candidate,” Gordon shared. As we have discussed in our previous article, just like with networking, Employer Branding is now also an essential strategy for modern talent acquisition. So we asked Gordon what his take on Employer Branding is, and whether Talenox is using it to their advantage. “It is definitely important, but what is [even more] important is the real culture in the company. You can sell a certain culture about your company, but if it isn’t the real culture that you are practising, words will still spread and you will not attract the right kind of talent,” Gordon said. “We were really busy with growth in our first two years, so we did not try to showcase it (on social media), but maybe we will in the future. People who join our team usually already know what our culture is like.” In essence, while Employer Branding is an essential strategy for talent acquisition, companies have to remember that it all boils down to practising what they preach. While it is important to get your company’s presence out there, what is even more crucial is not losing the core values and identity from being too picture perfect for the media. We would like to thank Gordon who made time to share Talenox’s story with us, despite his busy schedule. If you have any interesting story to share, please contact us via email at admin@talentdash.com.